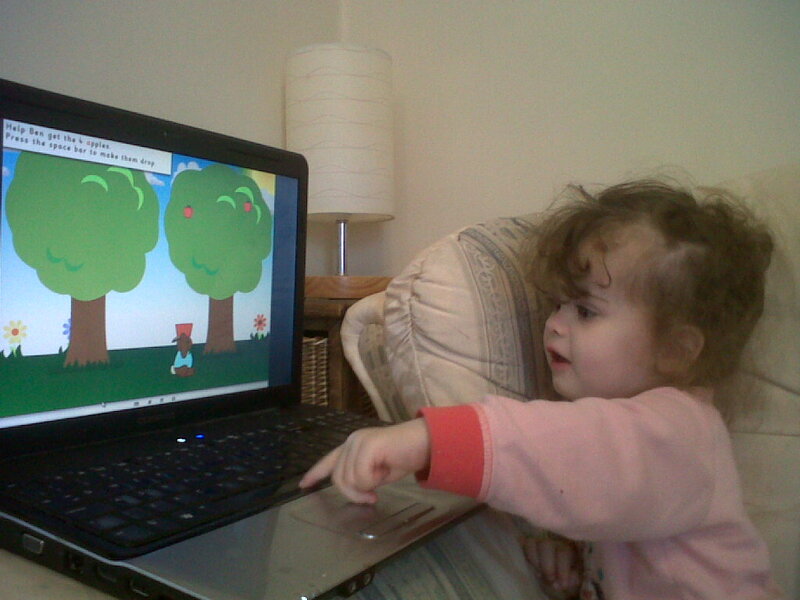 Annabelle and I were very lucky to be about to review the Interactive Learning Programme from Ben & Betty. The Ben & Betty learning Programme is an exciting, innovative new scheme to encourage young Children from the age of 2½ years old to learn the basic educational skills through games and fun activities. The modern, lively approach makes the Ben & Betty programme a positive and successful experience for children and adults alike. Annabelle loved it so much, she is a little too young to understand letters yet but she loved the games. I feel that even though It doesn't show she is learning because of her development age, she actually is. It is set out very basic so Children can take it in. The games are great, Annabelle's favourite was pressing the space bar to collect the apples and she loved watching them fall into the basket and counted them. She enjoyed watching the letter demonstrations and listening to the letters however she was a little too young for that. I have a 4 year old Brother who had a play on it and it was Fantastic for his age, he enjoyed playing the games, listening and writing the letters. I would say the difference is the Fact my brother was able to use the computer without me helping all the time, whereas I had to repeat to Annabelle about where to press. It would be great if this was touch screen however that is not Ben & Betty's Fault, but i'm sure Annabelle could learn a lot more by using her finger or the pen. I would love to have a game to do with Colours as Annabelle is very interested in her Colours. There is also a pack for older Children depending on your Child's Development stage. I would defiantly recommend having a look on the Ben & Betty Website and downloading the free worksheets and games to see what you think!!! Annabelle has become a fussy eater! ahhhh!!! !